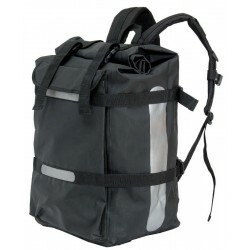 Insulated Delivery Bag for bike courier. 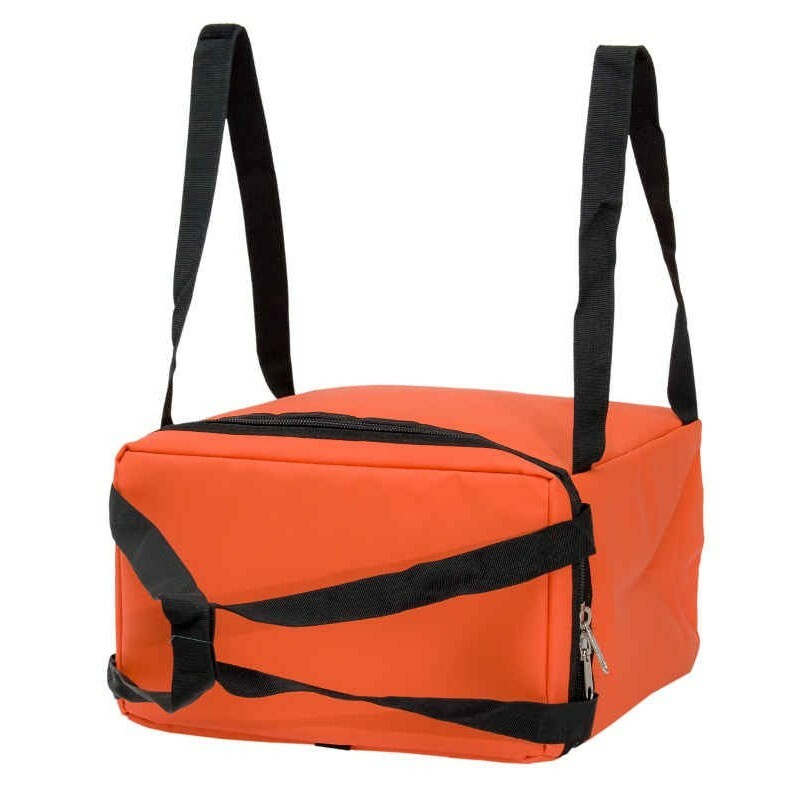 Isothermal transport bag to keep food warm or cold during delivery. 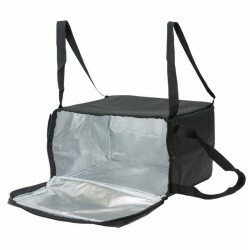 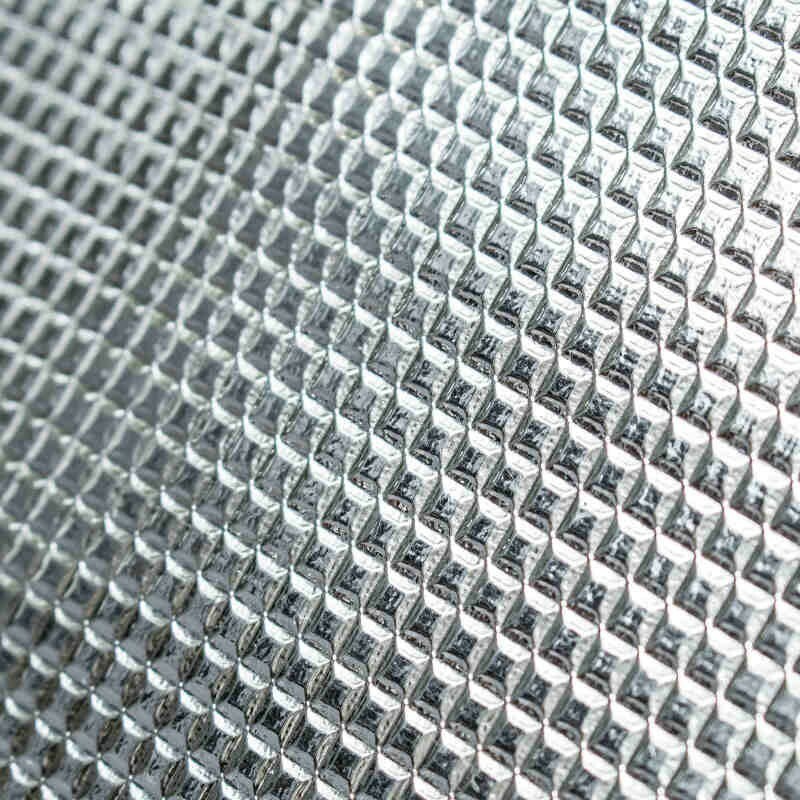 The upholstery and aluminum lining ensure a high level of food protection. 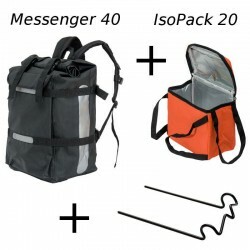 Bag compatible with the MESSENGER 40 backpack and the stem mount. 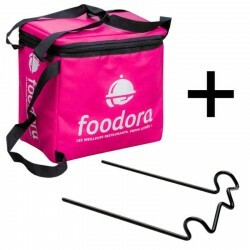 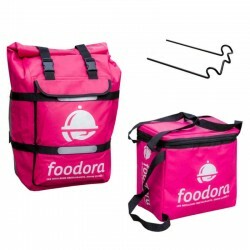 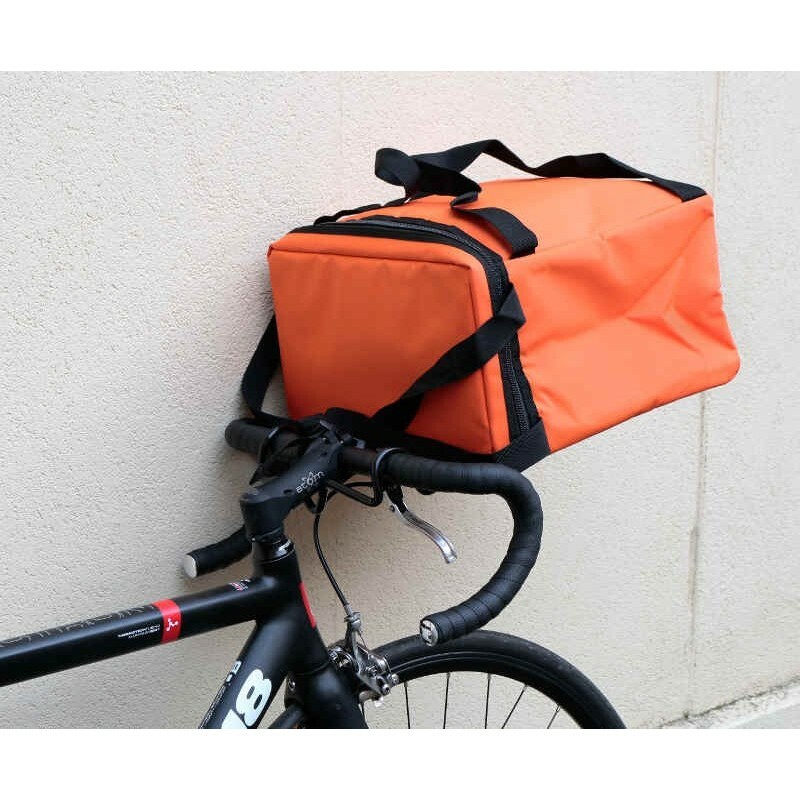 An insulated bag designed specifically for food delivery by bike. 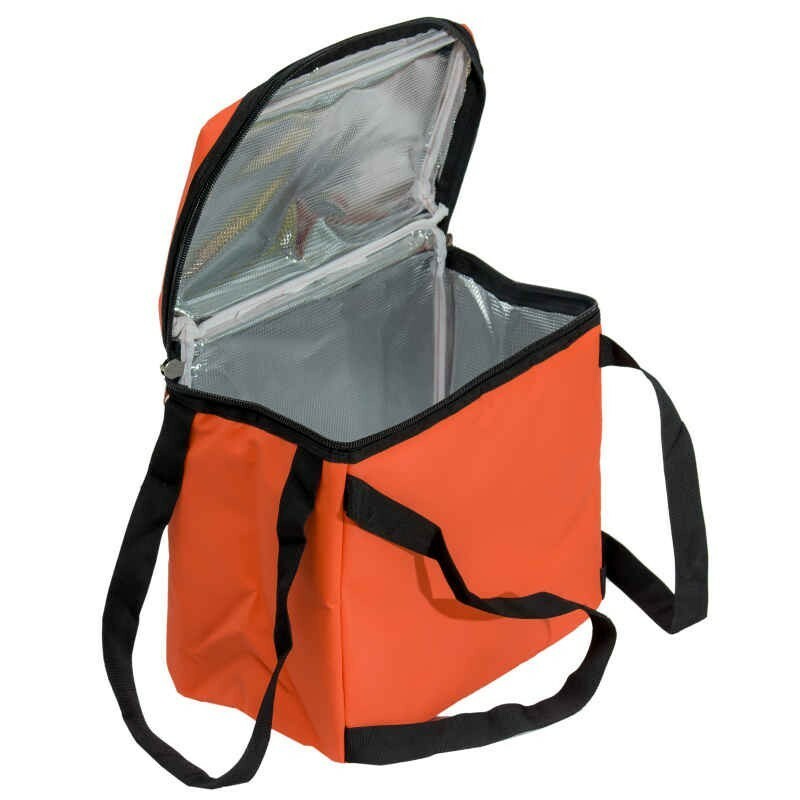 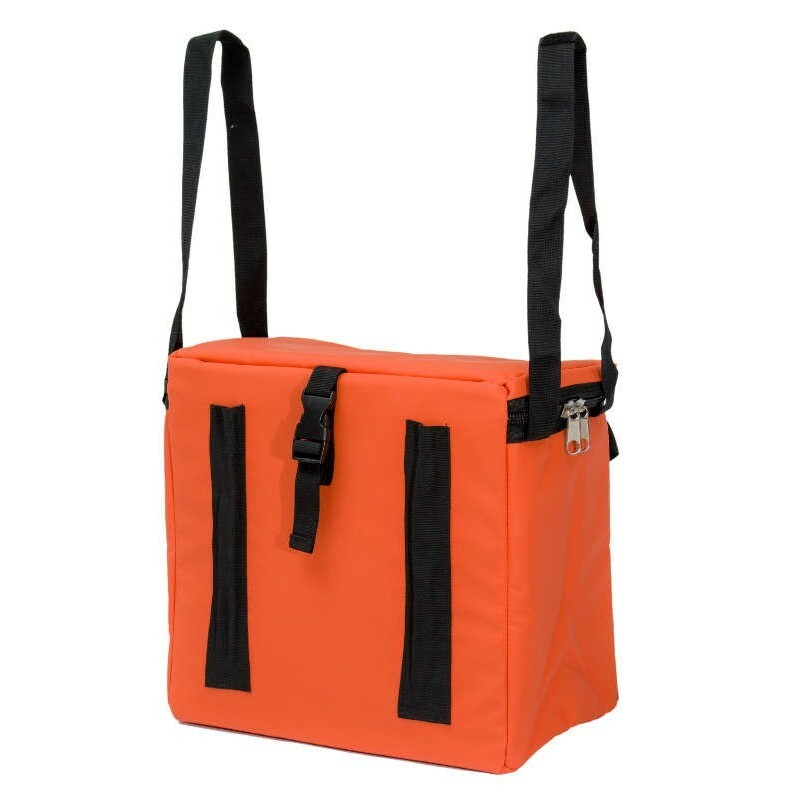 Inside a backpack, or alone on a hanger rack, the hPa insulated delivery bag offers an excellent value for money for the courier who wishes to equip himself to ensure deliveries of hot or cold meals for all restaurants. 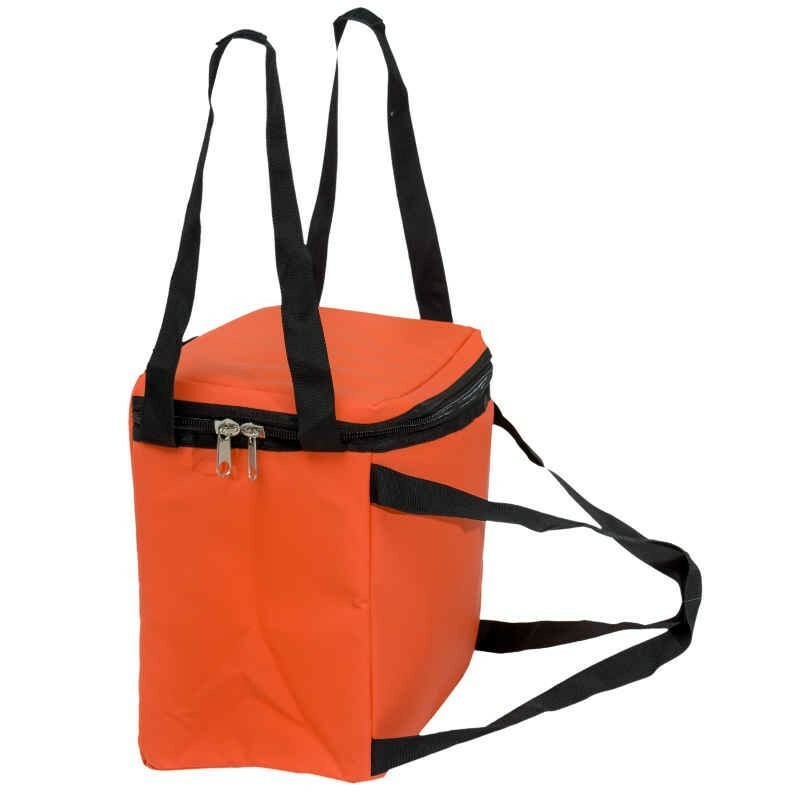 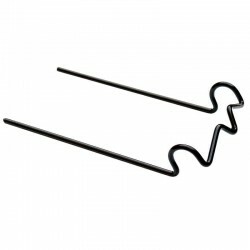 The double handle system allows the bag to be used both horizontally and vertically. 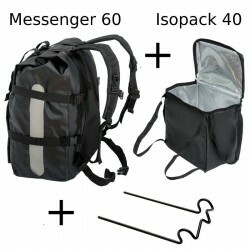 In a vertical position, it will find its place in the MESSENGER 40 backpack with which it is perfectly compatible. 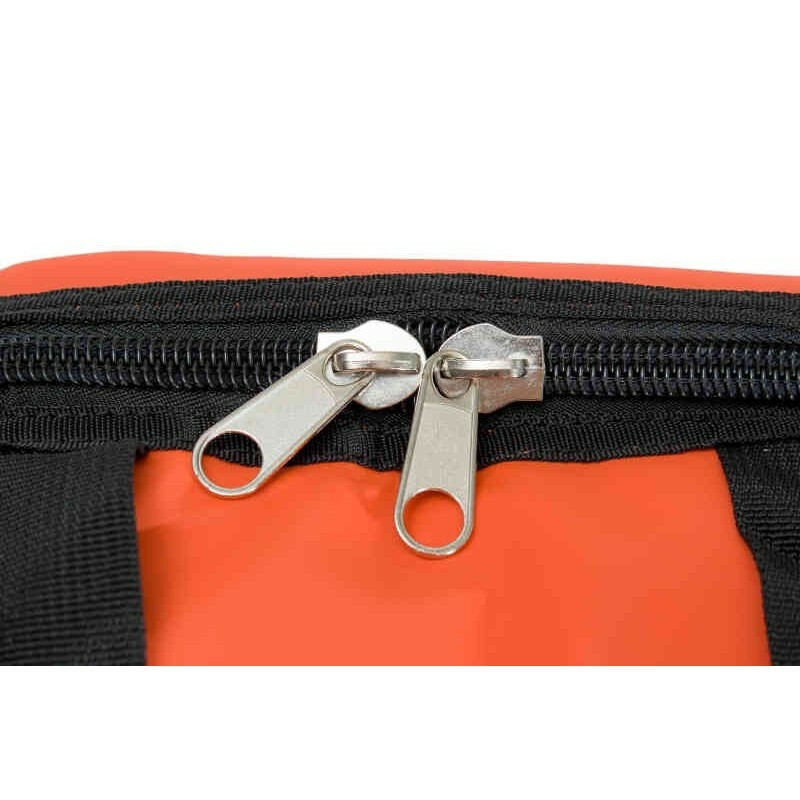 In a horizontal position, it will preferably be associated with the stem mount thanks to its integrated fasteners. 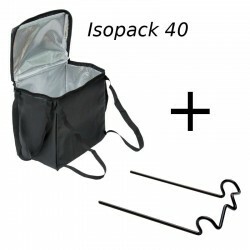 The bag can be folded for storage. 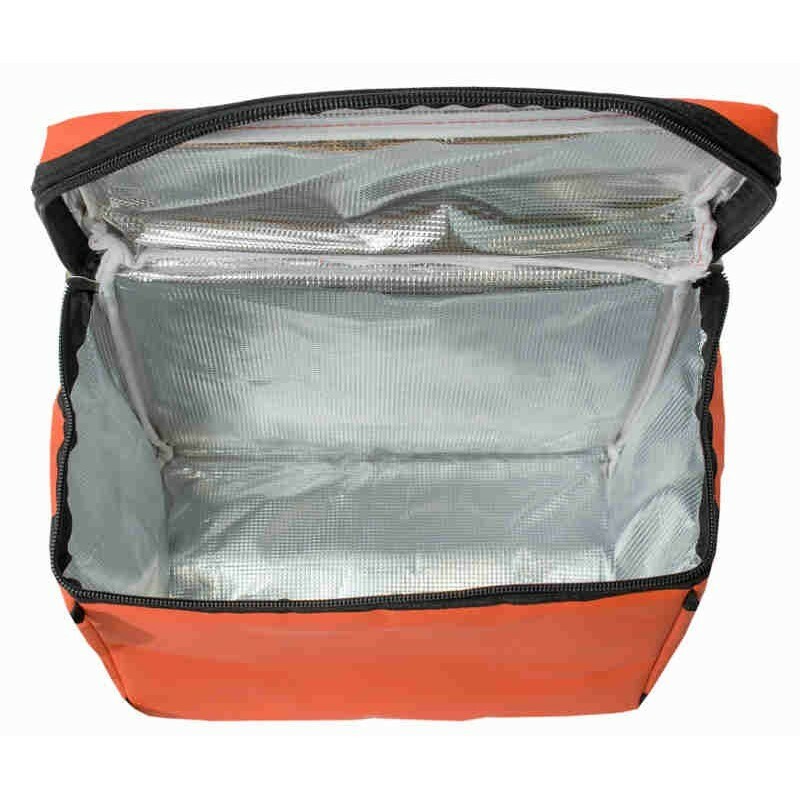 Made of complex PCV tarpaulins / Polyester / Aluminum for maximum insulation. 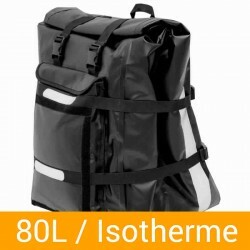 Matériel très qualitatif (comme l’ensemble des produits hpa). 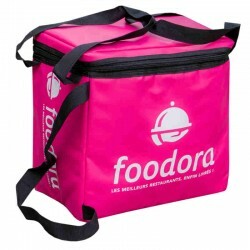 Livraison 48h et si besoin retour de paiement quasi-instantané. 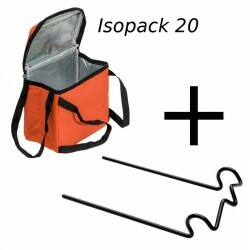 Néanmoins suggestion: le orange c’est bien pour la pêche (spécialité de hpa au départ), moins bien pour les coursiers.